National Heat Wave Slams Southwestern U.S.
Scorching weather swept across the U.S. Southwest on Tuesday, with the highest temperatures expected in California’s Death Valley during a week that forecasters say could prove to be the hottest in the region this year. A high of 124 degrees was forecast in Death Valley and was expected to nudge up a few more degrees on Thursday as Arizona and parts of California and Utah remained under an excessive heat warning. 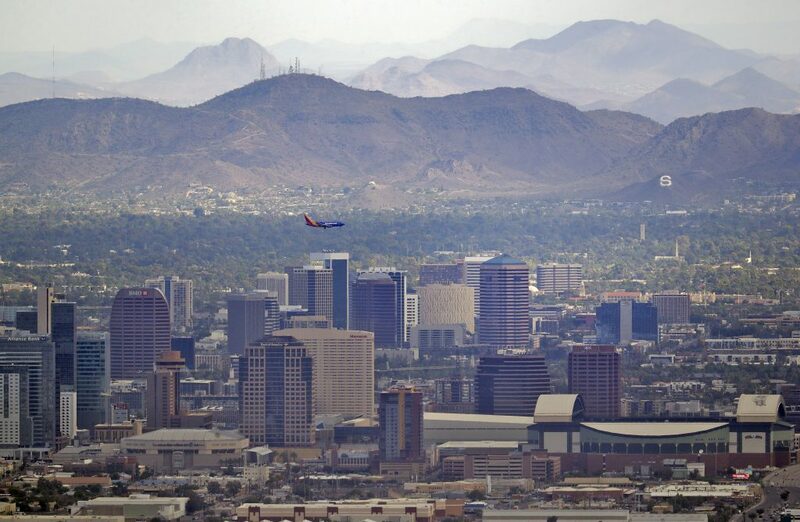 Phoenix was forecast to be among the hottest urban areas in the Southwest, with highs passing 100 by midmorning and hitting 113 (46 degrees Celsius) by early afternoon. With triple-digit temperatures expected throughout the region, the California Independent System Operator Corp. urged people to ease off blasting air conditioners or using washing machines or other appliances during the peak power usage times of 5 p.m. to 9 p.m. Tuesday and Wednesday. Phoenix on Monday recorded a sweltering 115 degrees (46 C), breaking the previous record for the day, the National Weather Service reported.